The largest and most luxurious suites of them all. There are two on the ship; one named after Walt Disney and the other after his brother Roy Disney. 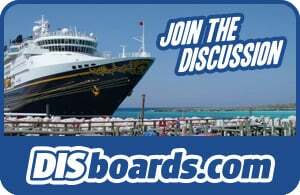 **NOTE** Since there are only 2 Category 1 staterooms on the Disney Magic (and 2 on the Disney Wonder), these are very difficult staterooms to book. It is advised that you book as far in advance as possible if you wish to secure a Category 1 Stateroom. These staterooms are the second largest on the ship. There are two of them and they are slightly smaller than the cat. 1's. They have the capacity to sleep up to 6 people (very comfortably) and have 2 bedrooms and 2 bathrooms. Spacious and cozy, the two bedroom suite offers a distinguished, yet comfortable option for those who desire privacy combined with luxury for their Disney Cruise. Category 3 staterooms are the last category to include concierge service. The cat-3's are spacious enough to sleep 5 and have 2 bathrooms which include designer label toiletries. If you are looking for spacious accommodations that will give you privacy in addition to special amenities, the Category 3 One Bedroom Suite could be the perfect option for you. What do Concierge Services Include? Pre-Arrival Services - Pre-reserve many of your onboard activities and services online, starting from 120 days prior to your sail date. Upgraded Amenities - H20 Plus Spa, Bath and Shower Products, Fine Bedding from Sealy Posturpedic and Frette, Pillow Talk Program (allows you to choose from a selection of hypo-allergenic, feather and therapeutic memory-foam pillow options), Personal Robe and Slippers, Special Treats Delivered, Media Library. Verandah features its own hot tub, patio furniture, deck lighting, plexiglass railings and dividers, and childproof locks. These suites are located on Deck 12, Forward. These elegant rooms will make you forget you're on a ship, combining form, function and all the comforts of home (or maybe more comfort than you have at home!). The Art Deco furnishings bring classic Disney to life with subtle nods to the company's early years. Take advantage of Disney's Concierge Service to pre-book your activities and dinners, both on the ship and off. The Concierge Team is available to help you answer all your cruising questions. As a Concierge guest, you will have access to a special lounge where you can relax, enjoy complimentary food and beverages and watch TV on the big screen. Blu-ray DVD players and an extensive library of music CDs and DVD titles are stocked for the enjoyment of you and your family, along with a selection of board games. These suites are located on Deck 11 and 12, Forward. Decorated to resemble the Art Deco era, there are hints of classic Disney hidden throughout these rooms. Wood finishing, original artwork, and a marble and granite bathroom make these rooms elegant and sophisticated. As far as amenities go, there's not much difference between the 1-bedroom suite and the royal suites other than size. Both allow you to take advantage of Disney's Concierge Service to pre-book your activities and dinners, both on the ship and off. The Concierge Team is available to help you answer all your cruising questions. As a Concierge guest, you will have access to a special lounge where you can relax, enjoy complimentary food and beverages and watch TV on the big screen.